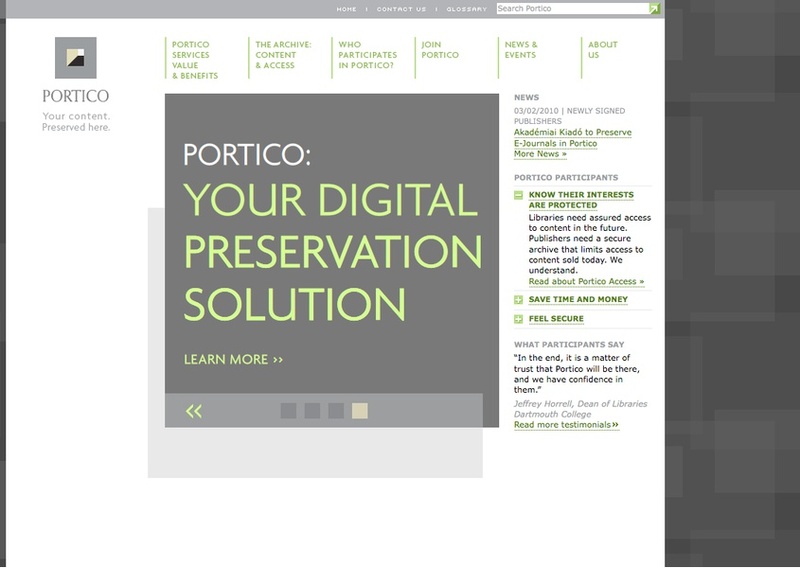 Portico is a nonprofit that provides digital preservation services to libraries and publishers. 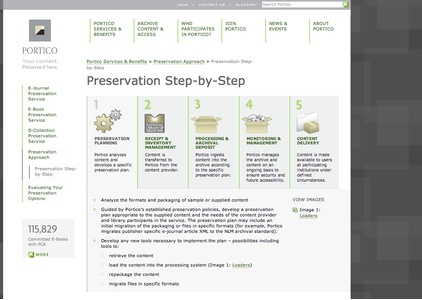 CGP redesigned the website to more clearly communicate their offerings and expertise in the field of digital preservation, while positioning themselves as the leading and the most trusted service among their competitors.The updated website had to clearly address and assure Portico's related yet distinct audiences – libraries and publishers – in an upfront manner that their needs are taken care of with this service. 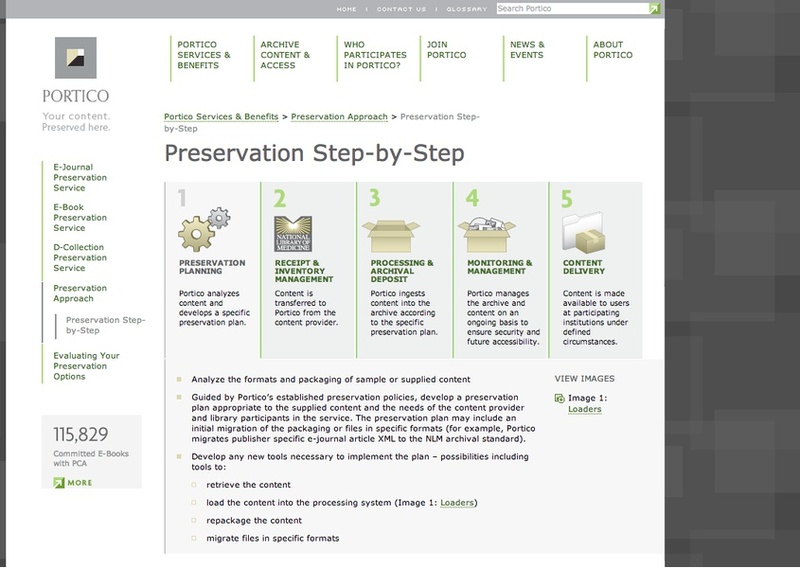 This was achieved by creating clear pathways in the navigation to provide transparency in Portico’s unique processes, including a click-through tour of the preservation steps in the archive. Portico's extensive archive is represented throughout the website with the use of a global and dynamic “Facts & Figures” counter. To further stand apart from the competition, Google maps was used to articulate Portico’s global positioning in their field. 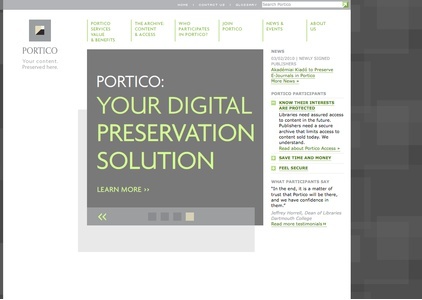 A new graphic treatment was applied in keeping with the original Portico logo and branding, but accented with a vibrant green to highlight clickable areas. The completed redesign has a polished, professional and comprehensive feel, mirroring qualities already possessed by the organization.